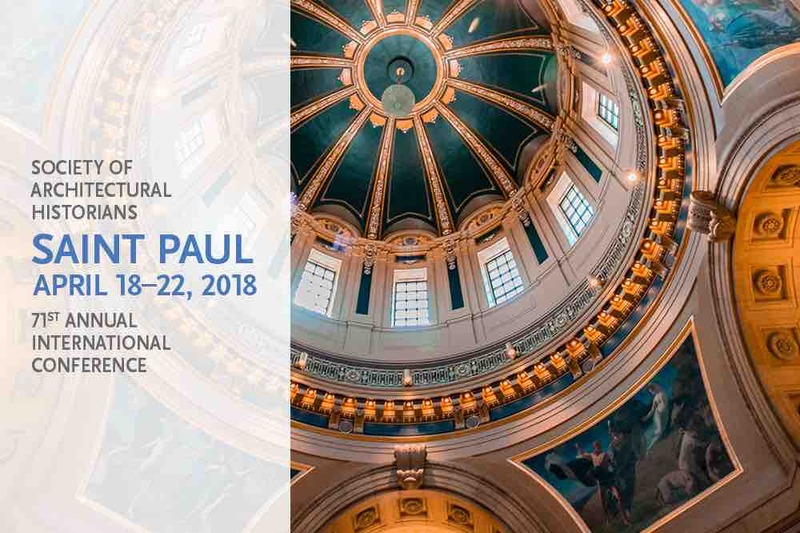 The Society of Architectural Historians will host its 71st Annual International Conference in Saint Paul, Minnesota, April 18–22, 2018. Architectural and art historians, architects, museum professionals, and preservationists from around the world will convene at the Saint Paul RiverCentre to present new research on the history of the built environment and explore the architecture of the Twin Cities. The conference kicks off on Wednesday with a public workshop on creating oral and video histories. SAH members will deliver papers in 48 sessions throughout the day on Thursday and Friday, which will be accompanied by roundtable talks that address current issues in the field. On Friday evening, the Society will name the 2018 winners of the SAH Publication Awards and SAH Award for Film and Video at its annual awards ceremony at the Landmark Center. Guided tours will offer conference attendees and the local community the opportunity to experience the architecture and landscapes of the Minneapolis–Saint Paul region. On Saturday, SAH will present a public seminar at the Science Museum of Minnesota that examines the changing postindustrial landscapes along the Twin Cities Mississippi River Corridor. Speakers will include local designers, planners, historians, and community activists who are reshaping the riverfront. The conference’s closing night reception will take place at the James J. Hill House on Saturday evening. Early registration ends February 20. Tours-only and public event registration opens February 21. Day rates are available for purchase onsite. Visit sah.org/2018 for more information.